Goa is the first thing that probably comes to your mind if a vacation in India is what you are planning for. To me, Goa is that one place where the vibes are chilled out, life seems so colourful and the f&b scene there is just next level good. 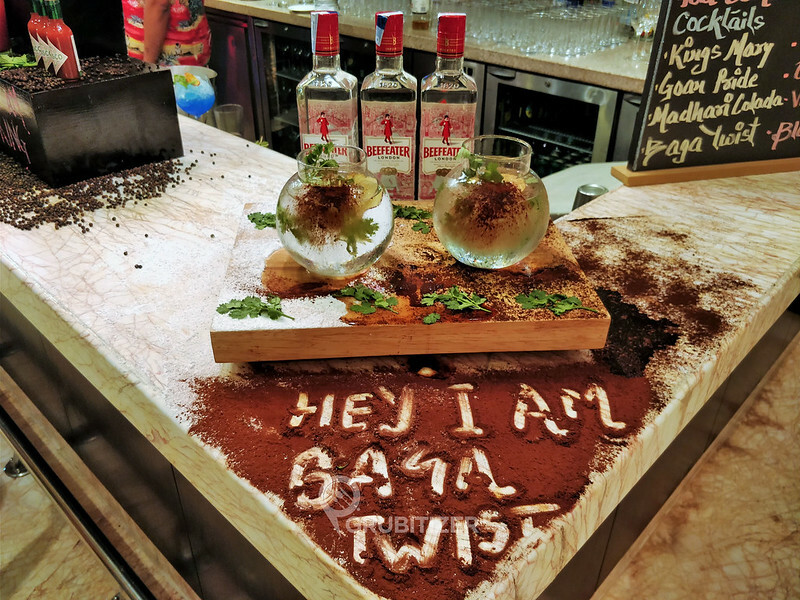 Goa comes to Bengaluru at JW Kitchen is a food festival you cannot afford to miss if you love Goan cuisine and want to revel in the charm of coastal cuisine, so be prepared as Chef Berna from Goa is all set to cast a spell on you! Bernadita Fernandes was born and bought up in Verna, a quaint little village in Goa. A professional career that shaped when she joined Taj Exotica as a Commis in the year 2002, there was no looking back then. Chef Berna has no formal education in cookery but had entered her home kitchen at a very young age helping her mom and sometimes even preparing meals without any assistance. 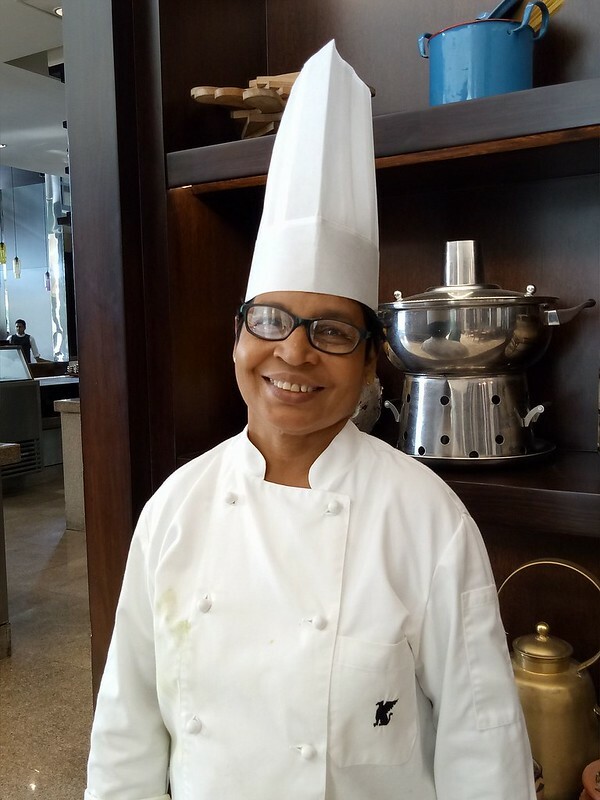 Cooking Goan food is what she loves to do and has always been a motivation to her subordinates by her words of guidance and encouragement. The festival spread that you are going to witness here is curated under her guidance. 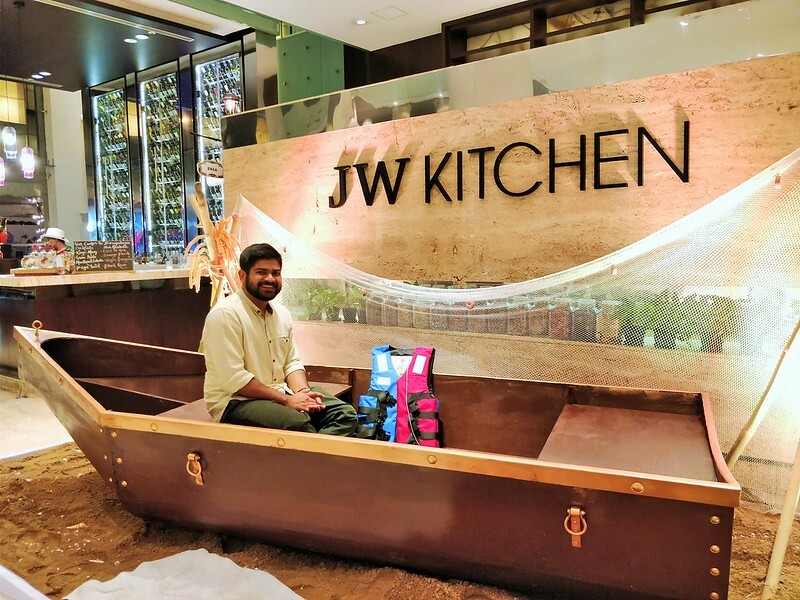 Dinner last Friday was at JW Kitchen where Grubitizer was on duty, his work was to check out the extremely gorgeous property of JW Marriott and try the Goan festival spread and the special Goan themed cocktails that are here to stay for few more days! 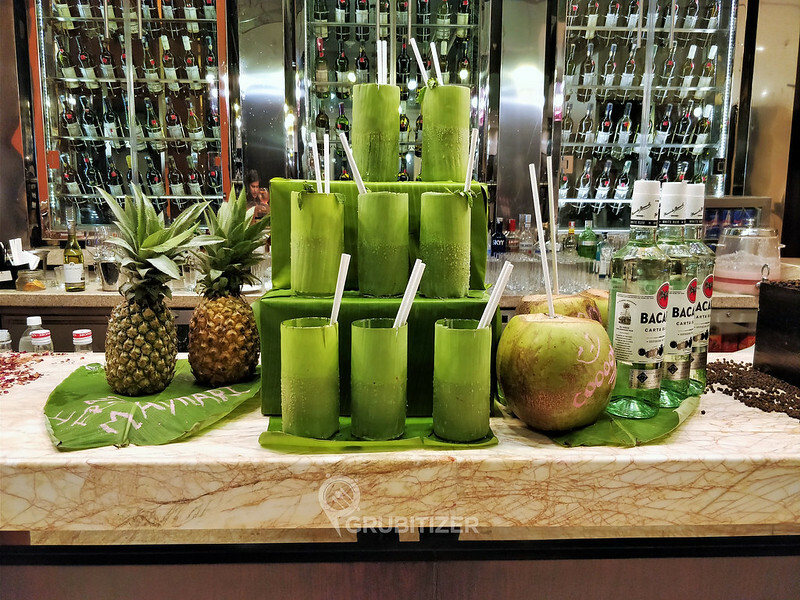 The four cocktails that are on offer here are Kings Mary, Goan Pride, Madhari Colada and the Baga Twist. 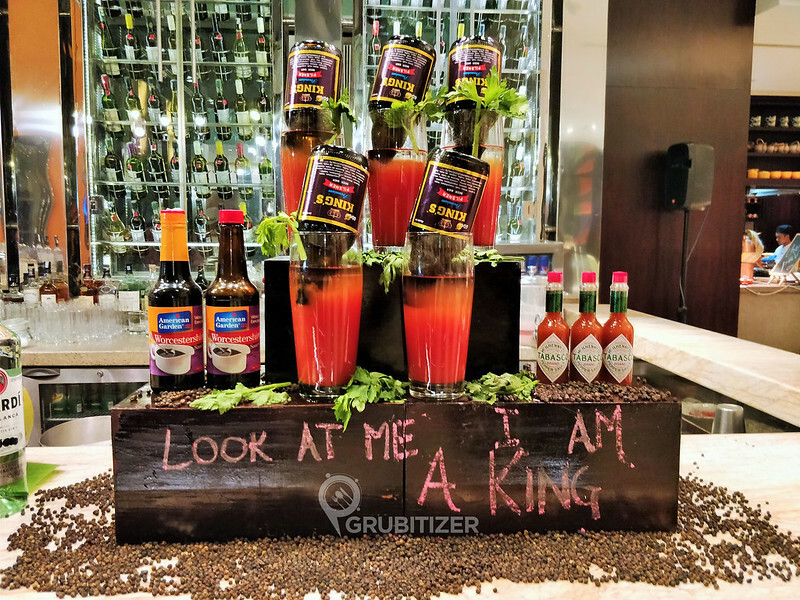 While I got to try each one of them, it was the Kings Mary that was destined to be finished by me, I loved the inclusion of the famous Goan beer – Kings, in the bloody mary kind of a setup!! 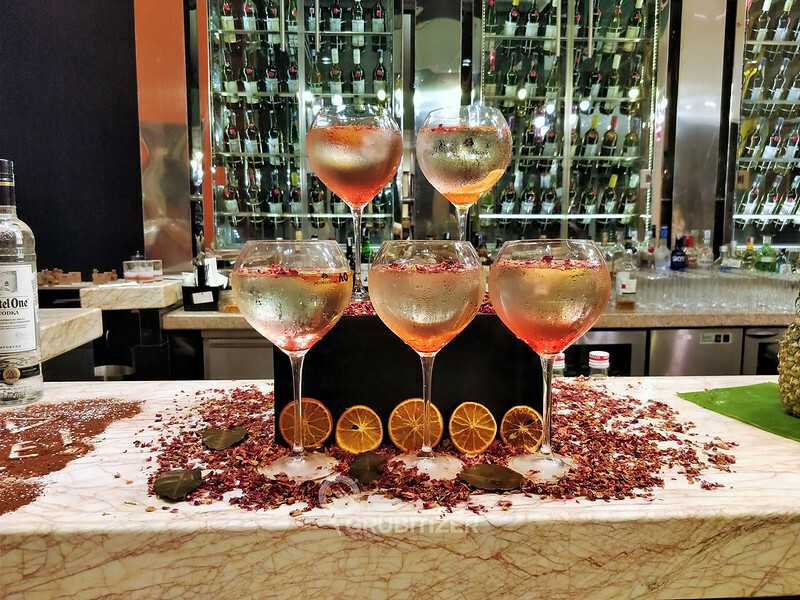 Goan Pride was my next favourite cocktail, the drink is more on the lighter side and you can feel the essence of Kaffir Lime and Rosewater in every sip. The buffet spread here is magnificently large, I tried hard to stick on to the festive dishes only if I had not cared about my pledge to follow an eat-less-workout-more policy. 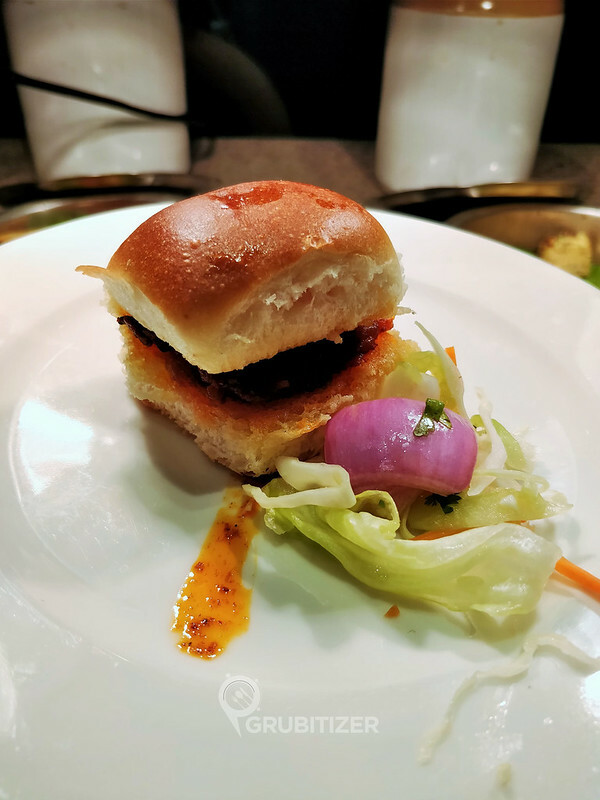 The major highlights of the widespread buffet will include signature seafood dishes, Ros Omelette Pav, Chorej Pav, Goan Prawn Curry, Chicken Xacutti, Red Pumpkin Bhajji and much more. 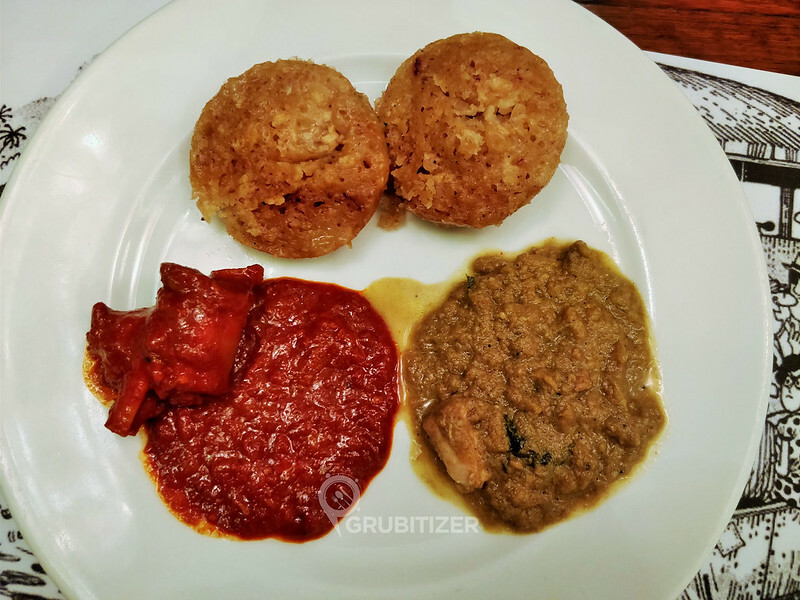 I paired the nice and soft Sannas with the spicy Mutton Vindaloo and Chicken Xacuti, it was just out of the world. The vegetarian folks can pair it with Turai Foogath or Moongachi Gathi. 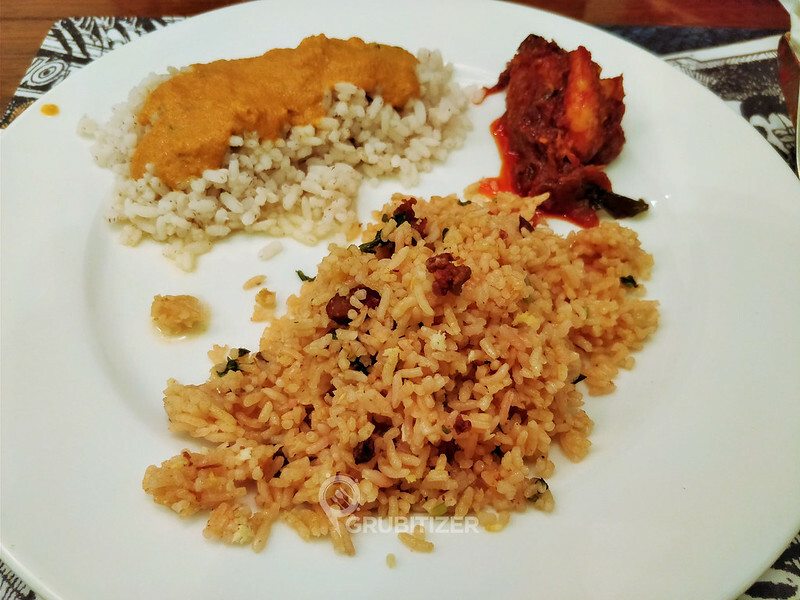 I then moved to the rice section, took a good portion of Pork Chorizo Pulao, red rice was mixed with Goan Fish Curry, another combination that you should definitely not miss. 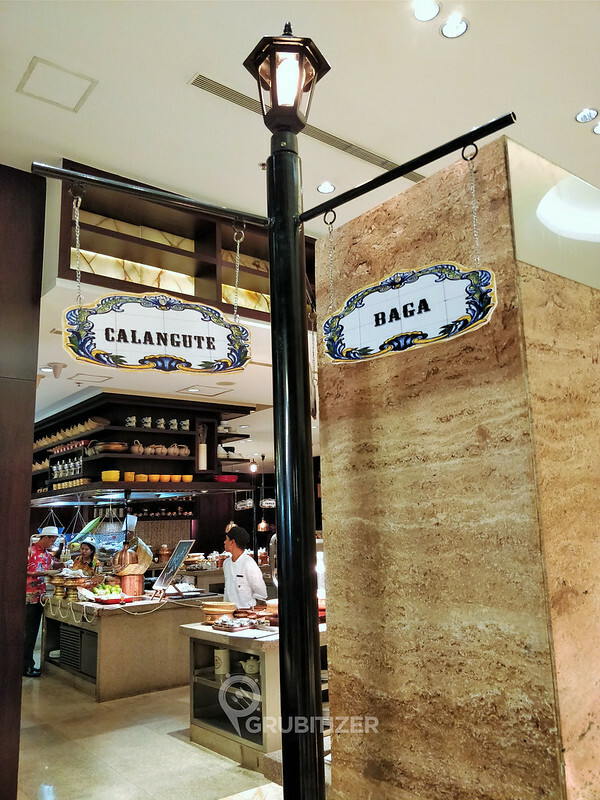 Treat your senses with legendary Goan desserts such as Bibinca, Dodol, Guava Cheese, Bhaat, Serradura, Patoleo and Bolinas. 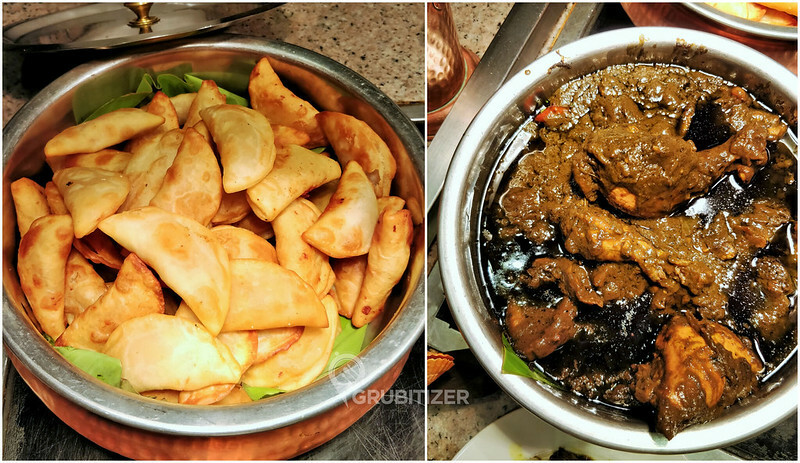 So overall, the ten-day food festival has a lot to offer! The mouth-watering Konkani dishes prepared by Chef Berna are sure to give your taste buds a much-deserved treat.